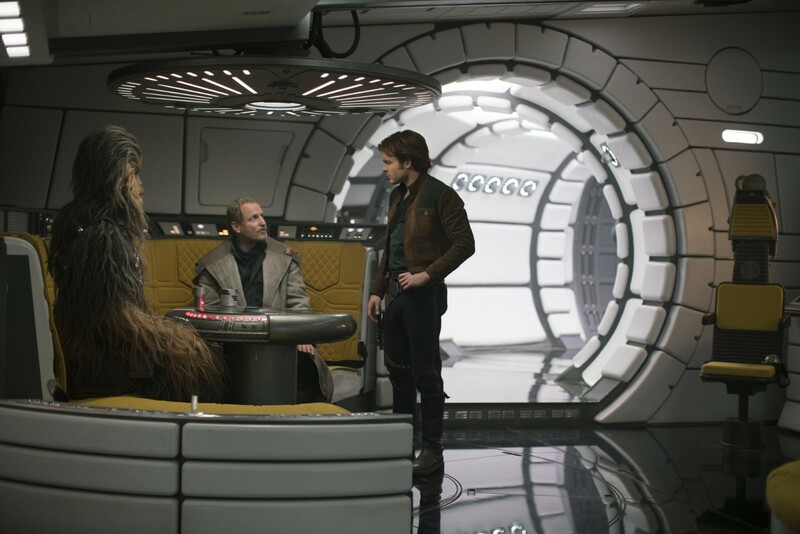 From the outside looking in, there was a time when Solo: A Star Wars Story appeared to be a rudderless ship spiraling deeper and deeper into trouble. Soon after the sudden and quite frankly shocking departure of Phil Lord and Chris Miller, Lucasfilm turned to the seasoned Ron Howard not just to complete the film, but also oversee extensive reshoots – reshoots which allegedly involved the original script. History tells us that Howard was able to finish his creative overhaul before the deadline, ensuring that Solo is still holding on to that crucial May 25th launch date. 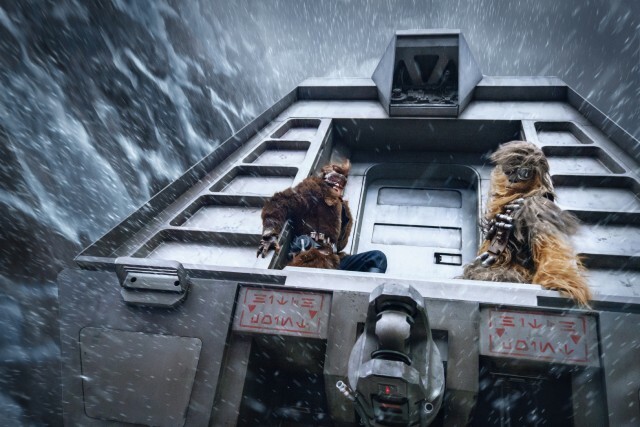 And now, as we quickly approach release, Disney’s getting ready to fire up the marketing machine, beginning with over 20 hi-res stills – seen in the gallery down below. If these look familiar, that’s because unfortunately, there’s nothing particularly new here. Instead, they’re just the same photos we got from Entertainment Weekly a few months back – along with a few trailer screenshots. The only difference, is, they’re in hi-res and EW’s watermark has been removed. 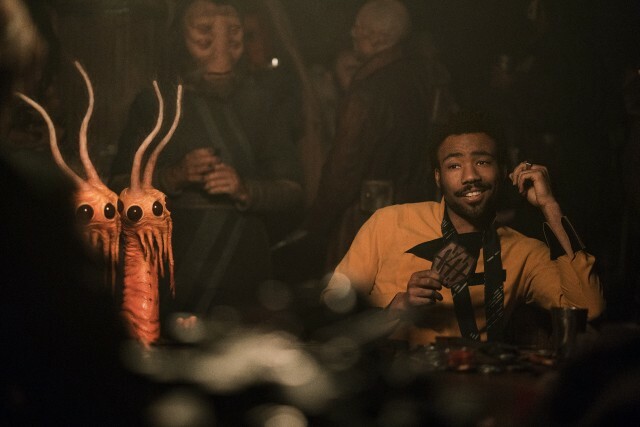 Still, given how little we’ve seen of Solo so far, we’ll take what we can get. 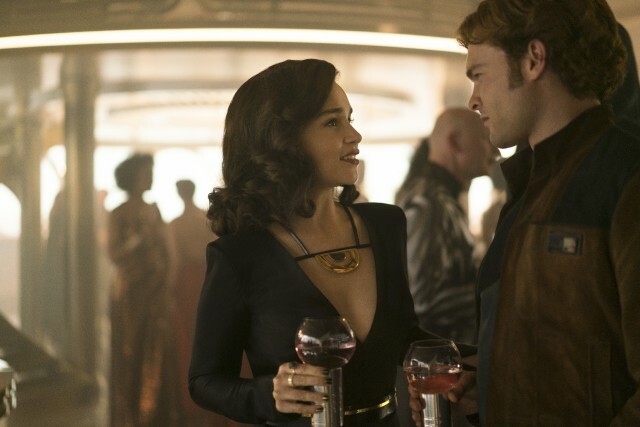 And though there’s nothing particularly revealing in any of these shots, it’s nice to see another glimpse of Alden Ehrenreich’s fresh-faced smuggler, the young Lando Calrissian, and Emilia Clarke’s femme fatale, who’ll be going by the name Qi’ra. She’s a friend to Solo, a fellow cast-off “just fighting to stay alive” at a time when the Galactic Empire seizes control of the galaxy and everyone in it. 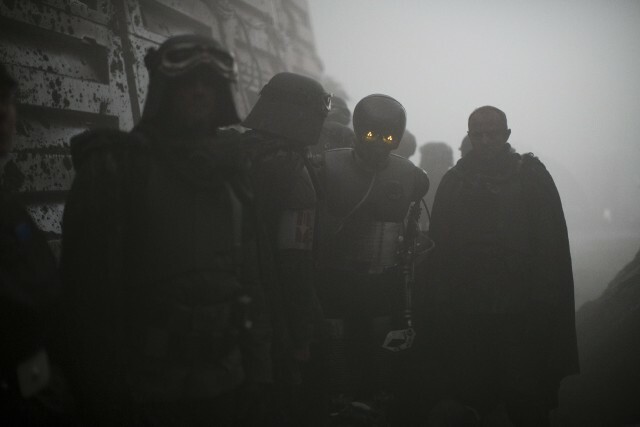 And though the Star Wars community has grown accustomed to the grouchy and somewhat temperamental Han, Ehrenreich’s anti-hero is anything but. Truth be told, ever since Howard took over for Lord and Miller, the space-set epic hasn’t exactly instilled hope in fans and at the moment, there’s definitely a bit of unease surrounding it. And while these pics may not do much to change that, thankfully, we’ll be getting another trailer soon, which should give us a better idea of what we’re dealing with here. 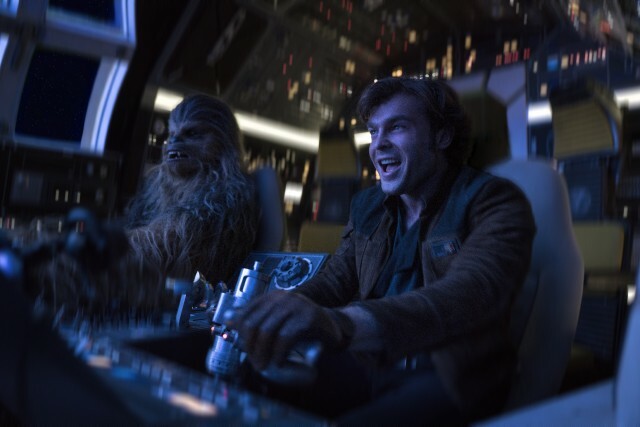 Punch it, Chewie! 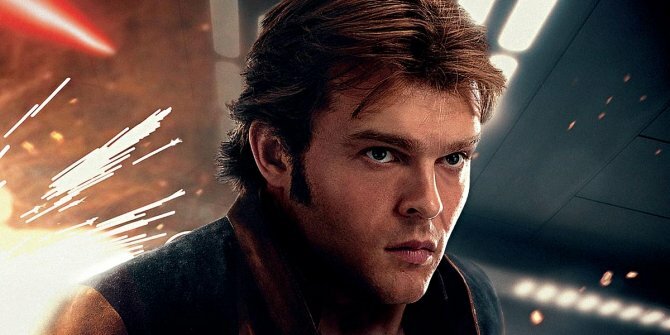 Solo swoops into theaters on May 25th and when it does, it’ll be remembered as a hand-crafted love letter to the Star Wars films of old. 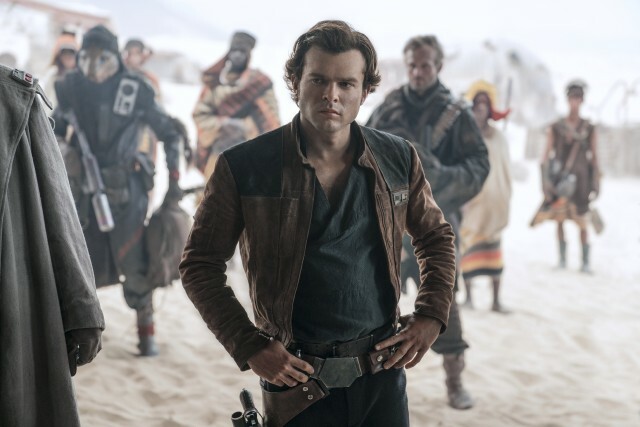 Indeed, Rogue One achieved a similar feat back in 2016, but with characters like Chewie and Lando involved, there’s a real sense of legacy coursing through the veins of Solo.